Here's where you can buy it: Sin and Punishment: Star Successor - Nintendo Wii. 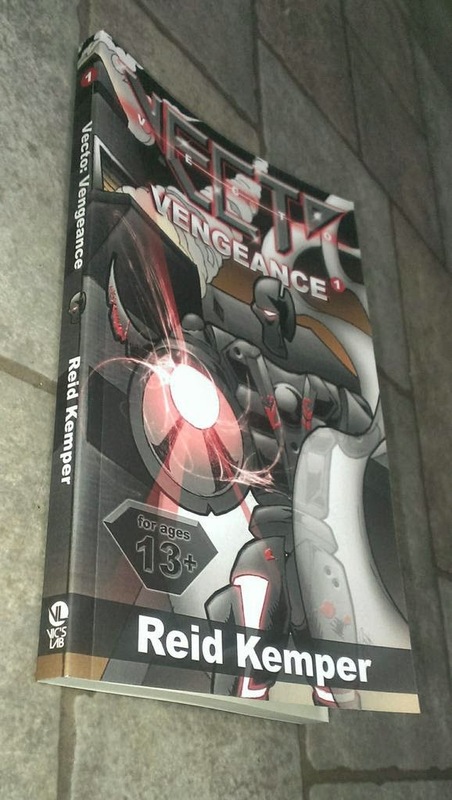 Vecto: Vengeance is published! Get the scoop on how I got my start. 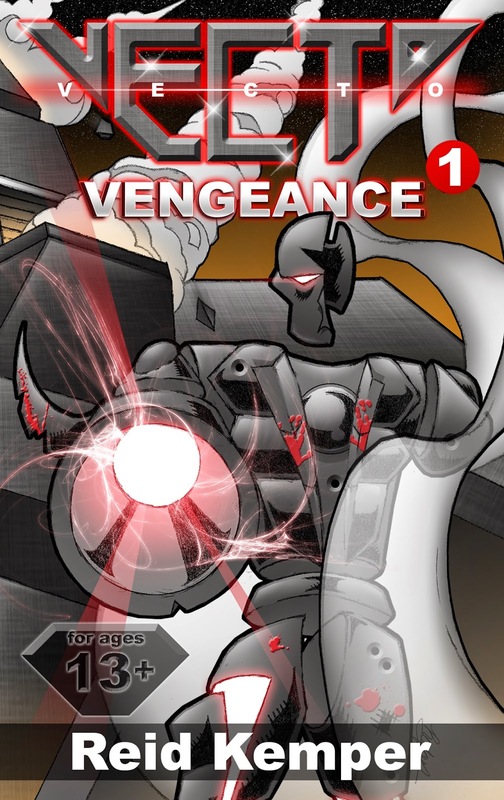 My Vecto: Vengeance book has finally been released! It was officially released as an ebook on Tuesday, Nov. 18, 2014, and is available via Amazon, Barnes & Noble, Apple, and other online retail websites. The print edition is coming soon. It was edited by Paul Witcover, who has worked with Tor, Del Rey, Tokyopop, and DC Comics. Also, it has been described as the first original English language light novel published by an American company. It's published by Vic's Lab, LLC, a startup company that want's to start a community of sci-fi/fantasy fans who like superheroes, anime, etc. I'm already working on Book 2, so hopefully if the first book does well, I can get the second one published. Here's where you can buy the Sonic CD game for Android phones: Sonic CD. Here's where you can buy the first game of the trilogy: Xenosaga - PlayStation 2. Here's where you can buy it: Gunstar Heroes - Sega Genesis. Crysilis and Streamline search for Vecto at two o'clock in the morning on the roof where his last transmission came from. Streamline finds a misspelled note from Chais that says that Vecto is being held ransom for 3,000 credits. It contains an embedded a chip sensor that activate a holographic Nexus screen. A saved video clip played a news broadcast of police looking for Streamline for allegedly attempting to rob Greenback World Bank. He is described as a 6 feet 8 inches tall, 38-year-old male Diamese knight wearing brown full body armor and alludes to him destroying a hovercopter. An updated story appears, which reveals that members the Alpha Squad killed the SS6 Formation. Vecto Botland is described a robot who leads the group and was once part of the old Alpha Squad of 14 years ago--a group that saved Acaterra from Morphaal, a 9-foot-tall cyborg. Streamline is identified as a member who was at the scene of the deaths. Both are classified as fallen heroes who are extremely dangerous. Crysilis wasn't mentioned. As Streamline worries about being a wanted man and finding his rifle, Crysilis figures that Vecto willingly went with the thief and shut off communication because he either didn't want him and Streamline to follow him or didn't want the Acaterran government to intercept the signal. One of Vecto's orbs brings Streamline's Omega Blaster and Crysilis asks the device where Vecto is. It tells Crysilis that Vecto is 14 miles away, traveling west, which is where an abandoned airshaft is. During their travels, Vecto tells Chais that Earth used to have forests, oceans, and mountains, which Chais compares to Zendora. Vecto explains that although parts of Acaterra have that, old Earth's surface is scorched, the oceans are desiccated, and the gravity is overbearing. He says that Earth is inhabited by Nagorians, a ninja clan that uses Zero Point Energy to survive. Vecto's former teammate, Shadow, is part of the clan. He explains Zero Point Energy as the fundamental energy source that powers everyday technology and is used in weapons such as his Blaster 3,000. It exists everywhere, is the absence of matter, and can be subtracted from its dimension for use. Vecto tells him that he is from Planet Cubix, Icon System 532, in Parallel Universe Geom. Parallel universes are described as massive planes of space other than the Central Universe they are in. The Dinishmen were the first to discover the existence of these planes and originally considered them as dimensions. In addition to this universe, there are seven universes known to man rotating around it. The void space between the Central Universe and parallel universes is called the innerverse, and beyond that is the outerverse. They comprise of the omniverse, about 253 teraparsecs in diameter. Vecto describes Dinishmen as a genetically altered race of people who live on Cubix and are known for their intelligence and inventions. They are three feet tall, and Vecto was created by a Dinishmen named Vic. Upon more questioning from Chais, Vecto says that a telekinetic race of blue humanoids called Asterites were instrumental in Acaterra's construction--which consisted of asteroids from the main belt; dwarf planets Ceres, Pluto, and Eris; several planetary satellites, and the Trojan asteroid belt--lured by a massive gravity well. They are guardians of the Gateway, which is a portal of time. Chais tells Vecto that he tried to get in the SS6 but couldn't so he makes a living through the black market. Vecto snatches a coin-sized disc that Chais had and warns him that it's not a toy. Meanwhile, in one of the dilapidated buildings, an assassin named Axe fired a sniper rifle that was aimed at Vecto's Flummox Capacitor orb that was visible from a slit in his chest. The sniper, who had a mechanical right eye and was clad in black, was 98 yards away on the forth floor. Vecto fired a charged zero point energy blast at the sniper. Axe took cover, slid on a mask, and activated a heat-signature masking device. Realizing that Vecto had a shield, Axe fired different bullets that released gases in the air that ignited, creating miniature fireworks around Vecto. It didn't work, so Axe fired a rocket launcher at Chais. Vecto enveloped Chais within his sheild to protect him, but it suffocated Chais and caused his skin to flake off his hand. Vecto contracted the shield and shot a missile from his gun's main teleportation disc. Axe used a flare, then shot Vecto with a bullet that fazed through Vecto's shield and blew up. Veto had multiple shields, however. Axe then aimed a nuclear warhead missile at him. Vecto fired a small Foot Missile from a compartment in his foot that tossed in the air almost drunklike. Axe scanned it to discover that its explosive content was a thousand pounds and jumped out the building. The assassin threw an orb the surface, which expanded into an illuminating purple foam. Although Axe landed on it and used an arm-attached umbrella shield, part of the roof crushed Axe's legs. Chais points his sword at the assassin and removes Axe's mask to reveal a female with brown, silky skin and her hair straightened and tied in the back. She gives her name as Accura and tells Chais that Vecto killed the entire SS6 Formation elites and she was hired to take him out. Chais is taken aback by this news since he could have been in the SS6 and died. He tells Vecto to find his own way to Leroy and tries to free Accura from the metal piece on her legs. Although Vecto figures she was likely hired by the Acatarran government, he removes the metal and leaves, wondering why Chais wanted to help the enemy. Here's where you can buy the series: Trigun: Complete Series Box Set (Classic).